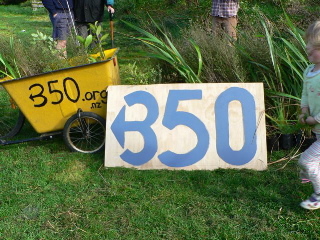 350.org.nz just reminded us that the International Day of Climate Action is getting close. 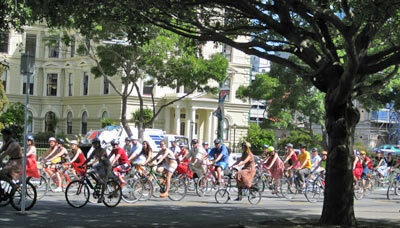 Cycle Aware Wellington is organizing another huge cycle ride to raise awareness for safer cycle lanes in Wellington and cycling as a low carbon form of transport – and, of course, because cycling is fun, fast and free! This time, CAW is drawing attention to the Great Harbour Way, Wellington’s beautiful coastline, and the necessity for a safe cycle route connecting Eastbourne, Hutt City and Wellington City. So mark your calendars for Saturday, 24 October, oil your chain, grab your helmet, water bottle, patch kit, sunscreen and let’s ride! Please do forward this info on to your networks, friends and lovers of 2-wheeled transport! You don’t need to be an excellent cyclist to come along – the route is about 17km, but is all flat and it won’t be a race! So come join the fun – but you cannot ride with us without a helmet! 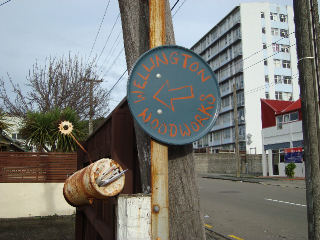 The Route: Start in Days Bay, Eastbourne, through to Wellington Waterfront. Final destination is the International Day of Climate Action Festival, Taranaki St Wharf by Mac’s Brewery. “Make your own sign to express your support for the 350 campaign. There will two (and, by high demand, three) sessions that run from 1.30 to 3pm, 3.30 to 5pm (and perhaps 7.30 to 9pm). Each sign making workshop will cater for up to six people.